Nowadays, the word ‘tapas’ is thrown around in Hong Kong’s restaurant scene to mean anything that vaguely refers to little portions of food meant for sharing. It’s easy to forget that tapas has its roots in Spanish cuisine, in which the ordering of many different tapas, or appetizers, make up a full meal, allowing diners to try a variety of food. 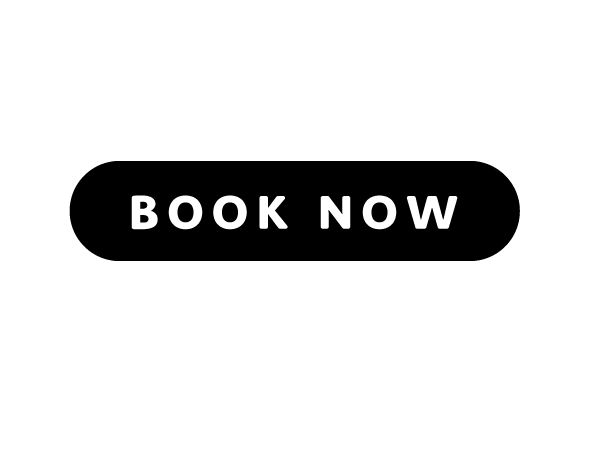 One Minden Tapas Kitchen’s take on a traditional tapas feast is worth trying if you want to see where the concept started. 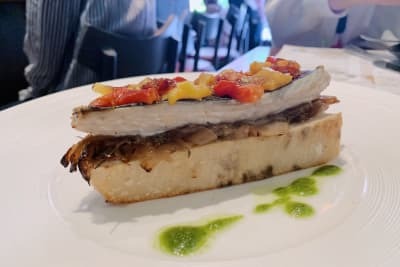 Located in a quieter part of Tsim Sha Tsui just a few minutes’ walk from K11, the modest-sized restaurant is now serving a 2-hour free-flow tapas brunch on weekends. 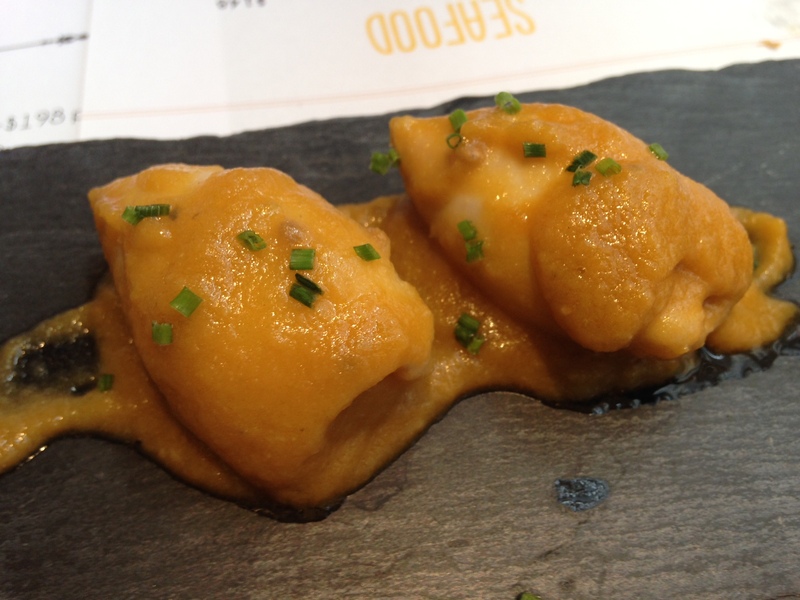 Of the tapas offerings, the three which stood out most were the two egg dishes and the Stuffed baby squid. 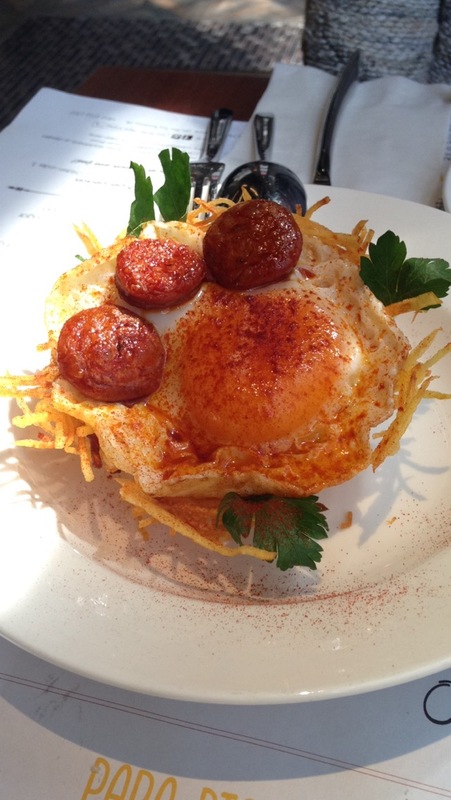 We couldn’t get enough of the broken egg with chorizo, a fried egg rested on a net of thinly sliced fried potato. The running of the yolk onto the potato made its texture soft-ish yet still crunchy, and if not for trying as many dishes as possible, we might have sustained ourselves on this alone. Chorizo is always a little too salty for my taste buds, but while I could have easily gone without it, others may appreciate the flavor it adds to the dish. 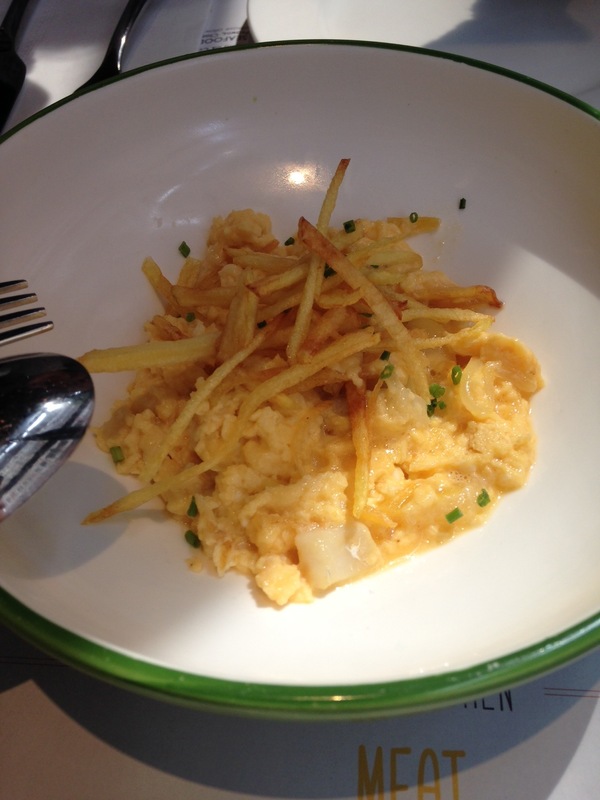 The scrambled egg with salted cod was another highlight. The egg was fluffy and moist and gave us reason to believe that breakfast is indeed the best meal of the day. This came with some of the same fried potato as in the dish above, providing a welcome contrast to the creaminess of the eggs. 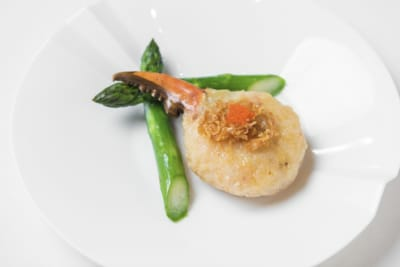 The Stuffed baby squid, its insides filled with pork and served with a delightful tomato-based seafood sauce, won us over with its chewy texture and tender filling. We wish we could say we loved the other tapas equally as much, and while nothing was unpalatable, most of the others were pretty average-tasting. 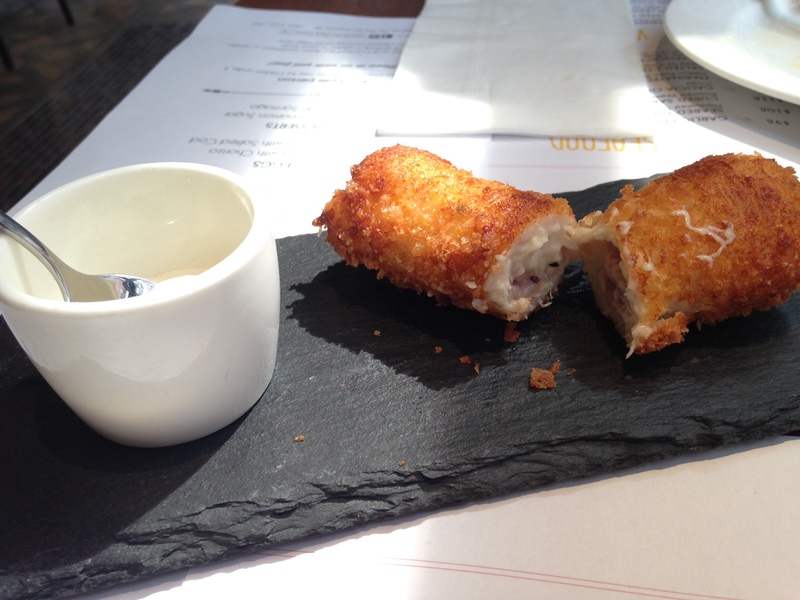 The pork and cheese roll, a bit like a glorified mozzarella stick, was reminiscent of a bar snack you know you paid a little too much for, and the ham and cheese truffle sandwich was, well, ordinary. 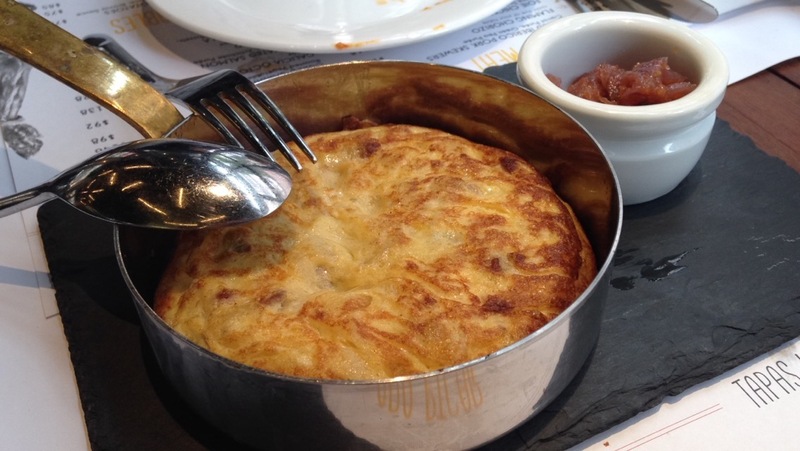 We also tried some of the dishes on the a la carte menu, of which we loved the Spanish omelette. Packed with potato and just the right amount of cheese, the dish wasn’t oily even though it was fried. The omelette was extremely creamy and melted in our mouths. The onion on the side paired well with the omelette, but was nice on its own as well. The interior of the restaurant is homely and simple, and the open kitchen as well as its location in a more tucked away part of the usually busy TST make the dining experience here seem more private and intimate. 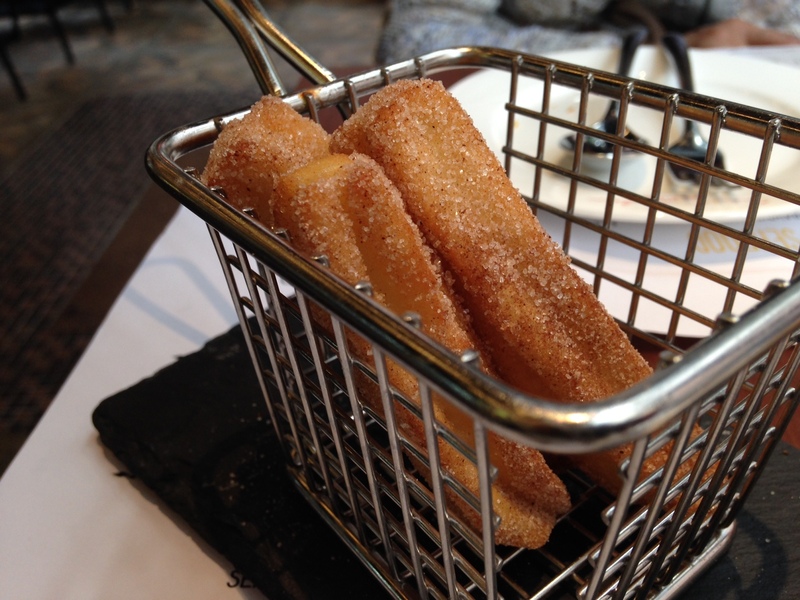 There were two types of desserts offered as part of the tapas brunch: tarta de Santiago and churros with cinnamon sugar. 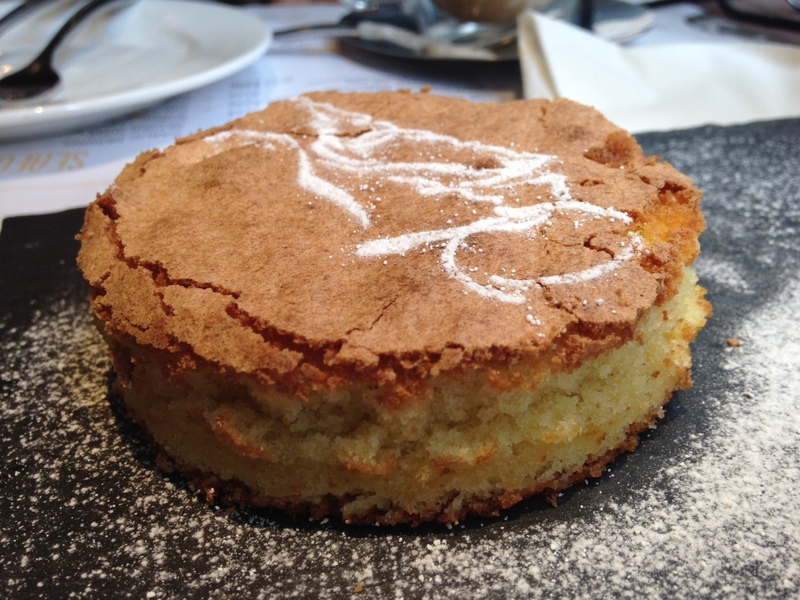 The tarta, basically an almond cake, could have used a little more almond flavor in it, though the Churros were moist on the inside and pretty good overall. The brunch also comes with an option for unlimited beverages at extra cost. The Sangria was refreshing and came with a bounty of cut up fruit and a slice of orange on top. 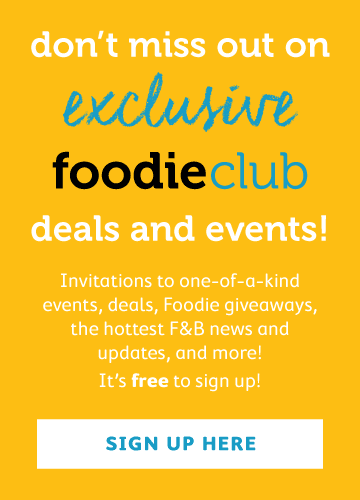 A decent spot for a casual weekend brunch with a good variety of dishes, some better than others. A rotation of different tapas would be nice for those who are fans but don’t wish to be eating the same 12 dishes every time.